Aloe Vera is the succulent plant species that belongs to the genus Aloe. It originated in Arabian Peninsula and is an evergreen perennial. Apart from the Arabian Peninsula, this plant can be found growing in various tropical countries in the worldwide. It is mainly grown for its agricultural and medicinal purposes. Aloe Vera is also used for decorative plants and acts as an indoor potted plant. It also has many commercial benefits. It is used in many drinks, skin lotion, and ointments which in turn helps to treat sunburns and some minor burns. We are all aware of the health benefits of aloe vera. It is known globally because of its various uses. Aloe Vera gel is used soothe the sunburn, relieve the body from dryness and itching. It is also known for heal cuts and abrasions. It has also proved itself to be effective in treating the bedsores. After reading this, there will be no doubt left that aloe vera and its juice has a lot of benefits. Aloe vera juice nourishes the body with a lot of effects due to its ultra-hydrating and anti-inflammatory abilities. As per Dr. Rupali Datta, aloe vera is an essential ingredient for food, pharmaceutical, and cosmetic industry. She further goes on to add that the recent studies which were published in various scientific journals had shown that consuming aloe vera juice orally can promote controlling blood sugar and it also lowers lipids in people with diabetes and hyperlipidemia patients. Aloe Vera juice is packed with a lot of vitamins, minerals, and antioxidants. These substances are pretty much required for the proper functioning of the body. As mentioned by Dr. Gautam, Aloe Vera lacks the presence of Vitamin D. Aloe vera juice contains all these vitamins and antioxidants that help in nourishing the body and maintain the immunity system apart from other required things. It is not hard to find aloe vera on the market and can be easily bought. You can also make aloe vera juice and drink it. You can, later on, add substances like amla, giloy, tulsi, and karela that will help in making the juice tastier and healthier. Aloe Vera juice is believed to be rich in various antioxidants and minerals. It has a laxative property that encourages digestion and regular bowel movements. It also cures stomach disorders. Aloe vera juice helps in the cleaning of the digestive tract which in turn helps to cure irritable bowel syndrome. It is easily digested and absorbed by the stomach. It also acts as a stimulator for the production of bile in the gallbladder. Apart from juice, the latex of aloe vera plants plays a vital role in curing the digestive disorders. Aloe vera is a natural treatment for many of the diseases and is approved by research and studies. 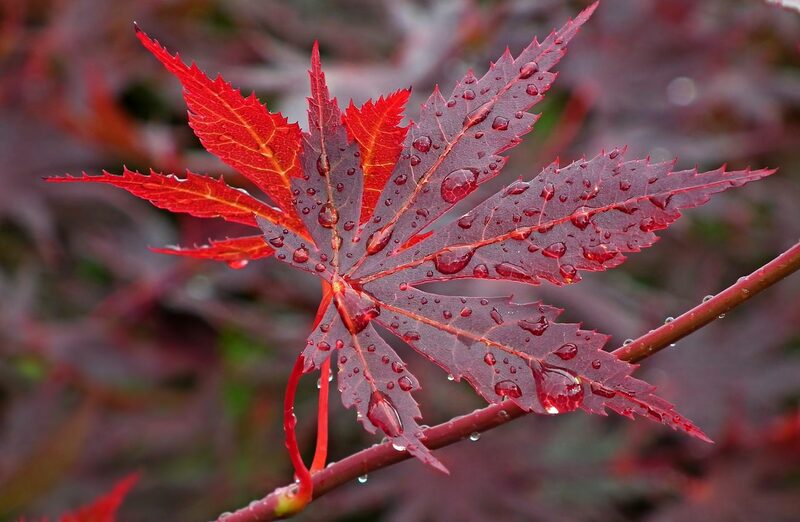 Hence, because of its rich antioxidant content, and its property to induce insulin production many people consider it as an ideal treatment for diabetes. One of the essential characteristics of aloe vera juice is its detoxifying nature. It is very effective when applied or consumed. Aloe vera juice is found to be useful because of its viscous consistency that helps in detoxifying the body. Aloe vera absorbs all the toxic substances of the body and aids in expelling them through the digestive tract. This nature of aloe vera juice is scientifically proven too. Aloe vera juice has crucial nutrients that fight and cures the body of arsenic-induced oxidative stress. Due to the high antioxidant content, aloe vera juice plays an important role in boosting up the immunity system. Your body is always dependent upon the immunity system so that it protects it against various diseases and infections. Aloe vera juice provides a high level of polysaccharide to the body, which in turn aids to form macrophages. These are very much required by the immunity system to protect the body against various viral infections and invasion of any external disease. Aloe vera juice is popular because of its hydrating property. 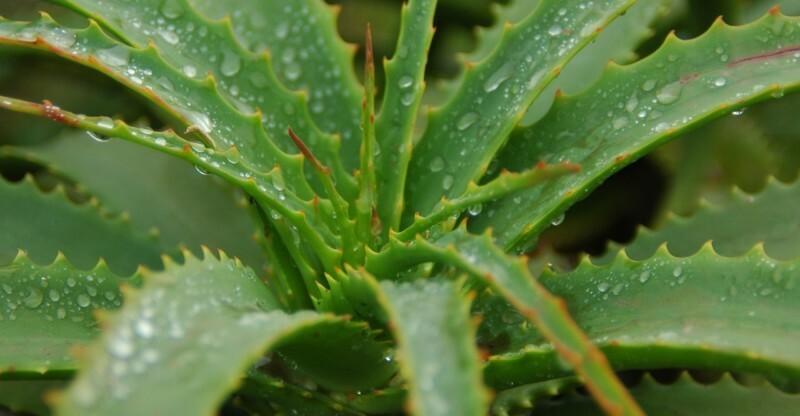 Aloe vera consumption helps to protect against sunburn, wounds and dry skin. Aloe vera juice helps to replenish the cell of the body thus offering every essential nutrient. This, in turn, moisturizes the skin externally. Drinking aloe vera juice on a regular basis also helps to keep the skin radiant. Therefore, it can be said that the hydrating powers of aloe vera juice are excellent. Drinking aloe vera juice plays an important role in improving your brain health. Many studies were conducted to prove this benefit of aloe vera juice consumption. In a study, people were asked to maintain a diet with aloe vera. The results showed that this diet enhanced their ability to recall memory and also increased the recognition power. Aloe vera juice plays an essential role in reducing stress and low mood. This effect of aloe vera on brain health is due to the presence of various polysaccharides in it. It is a known fact that aloe vera juice is full of antioxidants and various vitamins and minerals. It should also be known that aloe vera juice consumption enriches the body with all the vital amino acids which aren’t produced by the body. Apart from maintaining the health, these amino acids also play an important role in building up muscles. As aloe vera juice has a detoxifying effect on the body, it aids in building up the lean muscle mass. Hence, aloe vera is full of proteins that help in the production of amino acid and enriching the body. Alkalized foods play an important role in maintaining the proper health of the body. It is a belief that acidic bodies are more prone to infections and diseases. To avoid all these external infections and diseases, you should be regular with the consumption of alkalized food. Eating alkalized food helps in improving the body of the individual and also keeps the person away from irritation and ensures that the individual is happy and healthy. Aloe juice consumption has an alkalizing effect on the digestive system and helps the body to get rid of all kinds of toxic substances. Drinking aloe vera juice helps to reduce bacteria and inflammation of the mouth. Inflammation of gums is the cause of all the problems related to teeth like pain and swelling of gums. Bacteria also lead to gum swelling and other painful diseases. Aloe vera offers to heal against various gum problems. Dental practitioners very much recommend it due to its antimicrobial and anti-inflammatory quality. Aloe vera juice also helps to fight against oral infection, strengthens the gums, reduces gum irritation, speeds up the healing extracting teeth and also reduces tooth pain along with lowered sensitivity. Many foods are low in carbohydrates and other required nutrients. They lack in vitamins and minerals hence they do not support the healthy living. Aloe vera juice is rich in vitamin A, B1, B2, B3, B6, B12, C, and E. It also provides the body with a high content of folic acid and choline. Drinking aloe vera juice on a regular basis nourishes the body with various minerals and a considerable amount of calcium, sodium, potassium, selenium, and iron. It also has fatty acid content which enriches the body with essential vitamins. Therefore, consuming aloe vera juice will only help in increasing the nutritional component of the body. Heartburn is a widespread issue faced by many people. Studies say that aloe vera is more efficient than most of the medicines for treating heartburn or acid reflux. However, it is only valid if the aloe vera juice is decolorized and purified. Aloe vera juice consumption is also believed to reduce the symptoms of acid reflux without causing any side effects. It also helps in curing the problems related to gastrointestinal tract due to its ability to reduce the symptoms of heartburn. Aloe vera juice is one of the most effective treatments for GERD (gastroesophageal reflux disease). As mentioned earlier, aloe vera helps in getting rid of gum related problems. Aloe vera juice consumption plays a vital role in getting rid of various diseases caused due to bacteria. As per an Indian study, aloe vera juice is used in various fields of dentistry. Aloe vera juice acts as an ideal mouthwash, and it doesn’t have any side effects on the gum health also. It is also observed that aloe vera juice helps in the reduction of plaque and gingivitis. Because of its anti-inflammatory property, it plays an essential role in treating gingivitis. Inflammation is said to be the dominant cause of various autoimmune diseases. Inflammation can be caused due to multiple reasons such as physical injury or body’s autoimmune response to different inflammatory foods such as sugar, nightshades, processed foods and many edible vegetable oils. Drinking aloe vera juice can help in combatting this effect of various kinds of inflammation. The presence of antioxidants and organic compounds make it a highly anti-inflammatory food. Thus, consumption of aloe vera juice on a regular basis can be beneficial in treating inflammation at a minimum rate both internally and externally. Aloe vera juice consumption helps a lot in losing weight. Aloe vera is rich in beta-sitosterol which helps in reducing heart disease and lowering cholesterol in the blood. Apart from beta-sitosterol, the presence of other phytosterols also helps to increase the effect of fat loss. As per a study conducted in 2008, “aloe vera-derived phytosterols could reduce visceral fat accumulation.” The digestive property can also be believed to contribute towards reducing the weight. It can also be said to be useful since it helps in regular bowel movement and lessened gastrointestinal irritation. The slimy aloe vera juice is also said to reduce bloating. Today’s world is toxic with full of synthetic and chemical foods. All these foods are made up of artificial ingredients and all these when accumulated in the body lower the level of energy and affects the body a lot. This, in turn, leads to a lot of diseases. Drinking Aloe vera juice helps in cleaning the digestive system and keeps the cells hydrated. 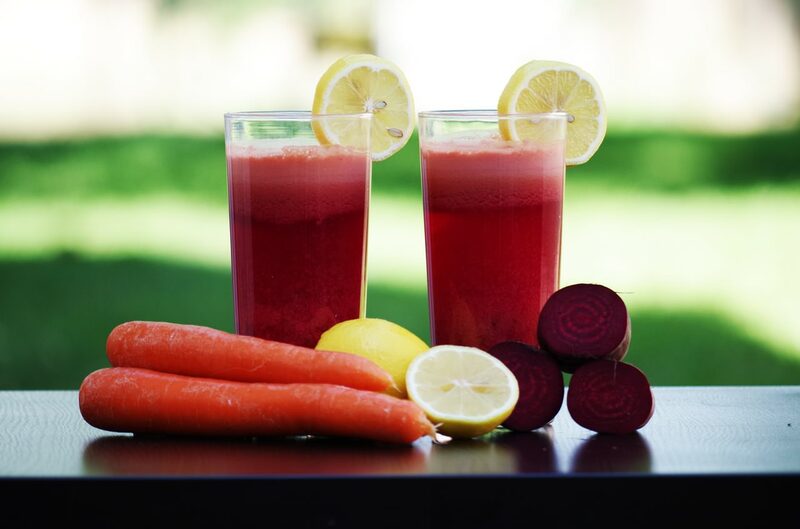 This, in turn, cleanses the body of various toxic substances and keeps the body energized all the time. Within no time, it drives off the low energy and provides high energy to the body. No doubt, aloe vera juice is exceptionally beneficial. Various research studies have been conducted which show that drinking aloe vera juice helps to slow down the developing cancerous cells. As per the study of Journal of Natural Immunity in 1998, people were made to drink aloe vera juice. They discovered that consuming aloe vera juice orally twice a day helped to decrease the number of people who were suffering from metastatic cancer. The study also showed that the individuals that survived a year later, the majority of them were aloe vera consumption group and less were placebo group. The enzymes present in aloe vera juice helps to moisturize the scalp. The anti-inflammatory content also helps in the treatment of itchy and dry scalp. It is rich in proteolytic enzyme helps to reduce dead skin accumulation in the hair follicles. The alkaline nature of aloe vera juice also helps in maintaining the pH level. It also provides the shine to the hair because of its conditioning nature. The vitamin and mineral content helps in strengthening the hair. Drinking aloe vera juice helps in lowering the risk of development of ulcerative colitis and other inflammatory bowel disorders. As per a study of 2004, tests were conducted on suffering patients. The results showed that the patients who consumed aloe vera juice continuously for four weeks showed a considerable increase in the rate of improvement. The aloe vera group improved faster than the placebo group. The patients were made to drink to consume aloe vera juice on a regular basis so that it can be more efficient and improve sooner. Therefore it is necessary to consume it on a regular basis to observe better results. Aloe vera juice cures a lot of skin wounds and diseases. It also proves beneficial in the treatment of eczema, dandruff, skin ulcers and canker sores. It also heals the epithelial layer of the skin. Drinking or applying aloe vera juice also helps in the removal of skin tan. It also moisturizes the skin, thereby preventing it from drying. Aloe vera is rich in auxin and gibberellin that treats acne and improves the skin scars. Drinking aloe vera juice can also help in reduction of stretch marks after pregnancy. Aloe vera juice plays a vital role in increasing the fibroblast in the body. Fibroblasts are the special kinds of cells which are responsible for the formation of collagen. Collagen is pretty much required by the skin, muscle and tissue health. Since drinking aloe vera juice helps in increasing the body function, it helps in soothing the irritation within the body and ensure the health of cells. Irritation is mostly caused by the body due to the lack of collagen. But drinking aloe vera juice stimulates the production of collagen thereby reducing the symptoms of irritation due to dryness of skin. Aloe vera juice may help in weight loss, but it can have its reverse effect too. It has laxative property and is diuretic. Therefore, it may be a reason for weight loss for a shorter period. This is due to deficiency of protein. Aloe vera juice can sometimes lead to miscarriage and also increase the risk of congenital disabilities. Therefore, it is hazardous during pregnancy. Some people are allergic to many foods so there are possibilities that the person may be allergic to aloe vera juice too. Aloe vera juice can trigger various kidney diseases. Hence, aloe vera juice consumption must be strictly avoided during kidney diseases and pregnancy. Aloe vera juice is somewhat like a wonder food because of its various benefits. It has a pH value of 4.5-5.5. It is said that children of 12 years or below must strictly avoid aloe vera juice. But no denying that it has a lot of benefits for treating various diseases. Drinking aloe vera juice is necessary, but overdosage of it should be avoided. If you wish to acquire the benefits of aloe vera juice, make it a part of your diet but in a moderate amount. 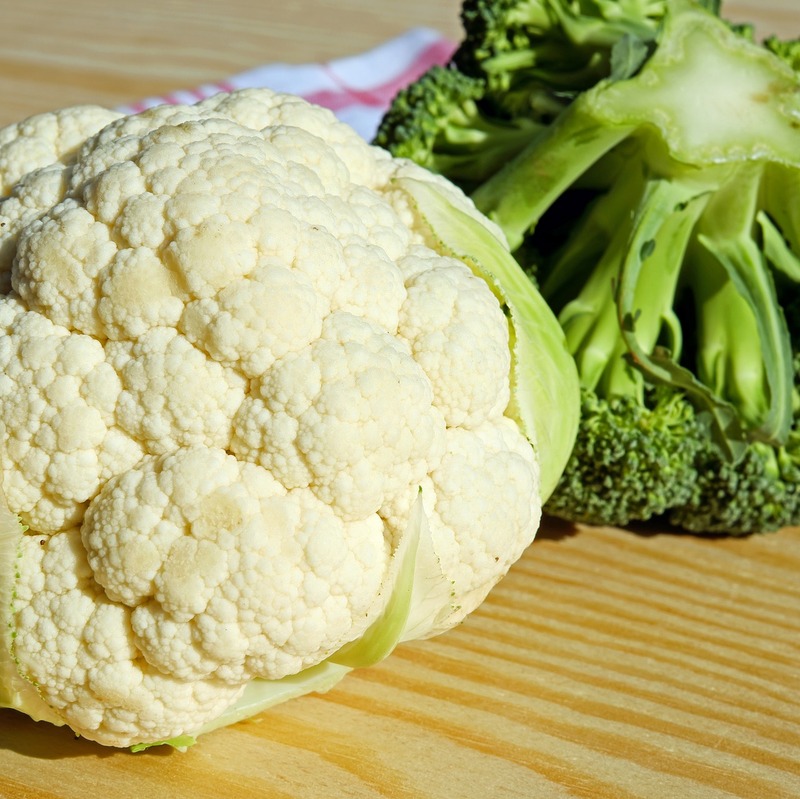 What Are The Different Types of Cauliflower?